Paul Cotnoir joined the college in 2002 and serves as Director of the design programs including the internationally recognized Interactive Media Design bachelor program and its suite of game concentrations. Cotnoir and his colleagues have been busy adding to their innovative line-up with the country’s very first B.S. in Esports Management degree which has drawn the attention of industry far and wide and debuts this fall. In our latest Spotlight Q&A, he explains that the success of the program and continued push forward derives from the college’s unique pedagogical approach and the way in which its students are immersed in their chosen field. We hope you enjoy! (Interview edited for length & clarity). 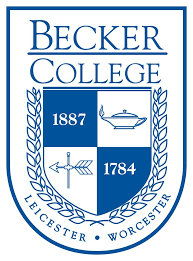 ACR: Tell us briefly about the degrees that you oversee at Becker College, and how they tie together within the School of Design & Technology Department. Paul Cotnoir: Becker College’s School of Design & Technology encompasses Interactive Media Design (Game Design, Game Programming, Game Production, Game Art), Integrated Graphic Design, Applied Computer Science, Business, and eSports Management. All of these degree programs were designed to interlock around the creation of digital user experiences which require an enabling technology component, a business component, and a design component. We have broken down the walls between these silos. ACR: You’ve overseen the advent of many new programs that we’ll talk about today including an assortment of game concentrations and degrees. How did these take shape, and what were the most important elements incorporated into them? PC: Our Interactive Media Design Program, which is now over 10 years old, includes concentrations in Game Design, Game Development & Programming, Game Production and Game Arts. Our Game Design major was designed to be a bona fide major- something that was unique in Higher Ed in 2008, and still differentiates us from much of our competition today. The Game Design and Interactive Media program is dedicated to creating a pipeline of talented young entrepreneurs who have both the knowledge and the skills to achieve professional success in the industry. Hands-on experience is a cornerstone of the program; industry mentors and strong ties to the industry give students opportunities to work on real game properties and publish prior to graduation. This is Becker’s Learn, Practice, Launch philosophy which is baked into the program’s flexible GAME v2.0 curriculum. With rotating advanced topics courses, students quickly move beyond the boundaries of traditional lectures and lab courses and routinely work on exciting game properties. 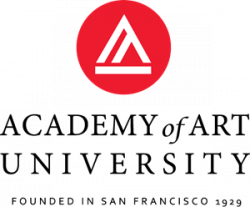 Additionally, the Massachusetts Digital Games Institute provides students with opportunities to develop an innovative and entrepreneurial aptitude and attitude so they have an experiential edge in the competitive industry. ACR: What are a few points of differentiation between your programs and others? PC: The Becker difference is simple: we provide professional preparation for each student from their first day of class. We challenge students to launch a game prior to graduation, which helps them build their professional experience. We provide them with all the tools they need to do so—from cutting-edge instruction and equipment to faculty experts, industry mentors, and connections to game companies. Throughout their time at Becker, our students are immersed in all aspects of game design: in the classroom, in student clubs, in competitions, in team-oriented projects, in community-based service projects, and more. Starting with our 10 dedicated full-time faculty each with game industry background, we integrate the Agile Mindset curriculum which includes practical application of empathy, entrepreneurship, divergent thinking and social/emotional intelligence skill sets. Our students have access to over 10 high performance tech spaces and computer labs, including a brand new $7.5 Million dollar New Ventures Center that will boast a dedicated VR/AR lab, smart space beaconing technology, accelerator spaces, labs, seminar spaces, team and breakout rooms, faculty, administration, small conference capabilities, and more in support of game development and entrepreneurship activities. ACR: You will be welcoming several new programs into the department over the next year including one of the first ever Esports Management degrees. How did you go about creating an entirely new curriculum from scratch? PC: We are very entrepreneurial and agile in our approach here, striving for relevancy and high value. The current and projected growth of the esports sector (with expected revenues to exceed $1Billion by 2020) was a deciding factor in our decision to move forward with it. We believe that esports will eclipse traditional (spectator) sports like the NFL… in fact, we are already seeing NFL owners investing in esports leagues and running competitions. This will require a new way of looking at management, thus our Esports management degree. Our vision is to be THE choice for aspiring Esports professionals whether they desire to work for large companies such as Blizzard, third party companies, general management, team management, and/or work with producers of live shows and events. To accomplish that and build our curriculum, we reached out to the industry and assembled a panel of experts in the field who worked with our faculty to create the curriculum. The industry panel has now become the program’s advisory board, and includes a who’s who of the industry. ACR: What new classes will be included in the curriculum of the Esports Management program? PC: We’ve added a number of courses specific to Esports including planning and strategy, event management, business models, game technology, industry trends, a course on building and sustaining community, and a new Esports Capstone I & II to culminate the educational experience with internships and palpable review. These courses will be taught by industry experts in the Esports area in conjunction with our Business and Game Design faculty. Our panel of experts will work closely with our professors so that we have contextual expertise. Our goal is for the courses to be cross-functional in nature and serve as a gateway into the esports ecosystem. As we continue to evolve the curriculum, we will look at infusing other core or elective courses in live streaming, data analytics, contract law, entrepreneurship and more. ACR: In addition to the new major, Becker College has a new esports varsity team on campus. Does participation in esports bring about a new set of questions on mental or physical health and wellness of students? PC: There has been quite a bit of talk in the media about some negative aspects of video game play, including recent material on internet gaming disorder. Interestingly, a study highlighted in the American Journal of Psychiatry found no significant differences in overall mental health, physical health or social activity between those who met the criteria for Internet gaming disorder and those who did not. We believe the best way to protect the interests of gamers and game developers while supporting awareness of and treatment for mental health issues is to encourage further study into responsible gaming instead of rushing to create a disorder that is clearly prejudicial against games as a form of entertainment and art. One of the many proactive elements of the Becker Varsity Esports program is a fairly strict mental and physical health component which includes guidelines for breaks, nutrition, ergonomics, and most importantly a mandatory physical training schedule including aerobic, weight and flexibility regimes. ACR: Becker College has another new degree offering this fall that I want to inquire about: an MFA in Interactive Media. What was its genesis? PC: The rationale for the development of an MFA in Interactive Media Design (IMD) was manifold. We determined that there were a couple of underserved sectors in the graduate studies marketplace – especially where interactive media design is concerned. The IMD undergraduate sector has matured and become crowded but the graduate sector, less so. With more students graduating with IMD undergraduate degrees, entry level positions in the industry are becoming more competitive to secure. An extra year or two for graduates to continue to develop and publish a polished game or portfolio is the kind of edge our MFA can provide a recent game graduate. As a terminal degree in the IMD field, the program appeals to individuals interested in a career teaching video games, as well. The curriculum is designed to be flexible, so the appeal is there for career changers or those already in the industry looking to enhance their current positions. One of the main differentiators of our MFA is that it treats the game itself as the art – not just the art assets that are a part of the game. This means the Becker MFA in Interactive Media Design can be accessed just as effectively from the art, programming, production, or design disciplines. This is truly unique among MFA graduate programs which usually gravitate solely towards the creation of stand-alone art assets or computer game degrees which concentrated heavily on the technical components of development and programming. ACR: You work alongside exceptional faculty colleagues in the department. Can you give us an example or two of how they push the bounds of their respective fields? PC: The work in the area of animation being done by Professor Curvin Huber comes immediately to mind. He is developing a set of very powerful and robust tools for integrating live streaming motion capture into the animation workflow. He works with FaceWare facial mocap hardware in conjunction with Epic’s Unreal Engine to develop a new genre of art – live, video game opera. The first example, Whitesnake Project’s Permadeath Opera, opens to general audiences this Fall in Boston. Professor Derek Hoffend is another that springs to mind. He advises students on the development of games involving neuro-feedback as a method of game control. Professors Terrasa Ulm and Amanda Theinert likewise push the boundaries of augmented and virtual reality gaming for serious applications within the public service and educational sectors. ACR: Lastly, working in these fields requires the practitioner to adapt to constant changes technological and market changes. How does Becker College best prepare students for tomorrow? PC: This drives right to the heart of the Becker educational philosophy that includes the Agile Mindset pedagogy in which divergent thinking is a main tenet, along with flexibility. It is learning how to solve a problem today in a way that helps you distill from that lesson something you can use to solve a completely different problem years from now. As an example, we teach our game programmers the C++ language in depth, as it is the core language of choice for developers in the industry. Many other game development environments also require knowledge of subsets or scripting languages similar to C++, such as C#. We don’t explicitly teach our students C#; instead, we expect them to take the lessons they learned in their C++ courses and use those lessons to learn the syntax associated with the new language. That is divergent thinking. In any industry like Interactive Media, which changes on a dime, this skill set is critical to entry, survival and, eventually success!